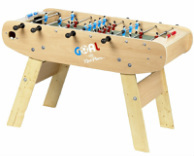 This in the coin operated version of the standard Competition model brought to you by the French manufacturer, Rene Pierre. 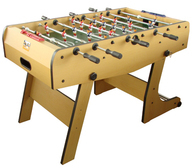 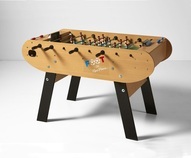 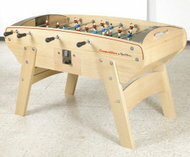 Hence the name, this table is made for tournaments and bars where professionals want to play on a solid table. 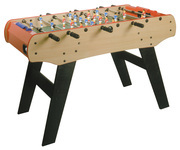 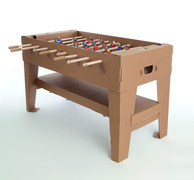 It features a beech wood cabinet, telescopic rods, linoleum playing field, central ball return, and die cast aluminum players. 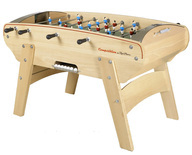 French tables are known for extreme ball control and the Competition comes with cork balls to that are flexible so they can be pinned down and easily passed.